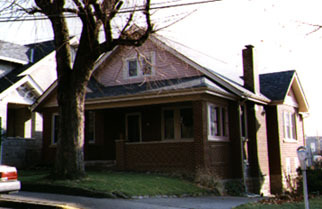 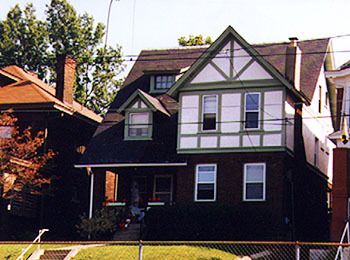 This section contains three sets of photos taken around Pittsburgh, Pennsylvania. 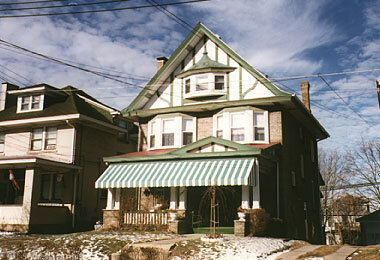 South Hills, PA: This area was mostly hilly forests and rolling farmland until 1900. 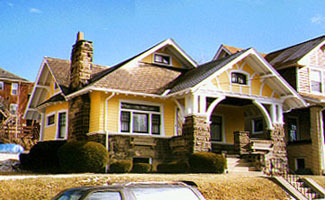 It was quickly developed as a new suburban area beginning in 1903 when a trolley line was built connecting it to downtown, and by the time a one-mile-long traffic tunnel was constructed through Mt. 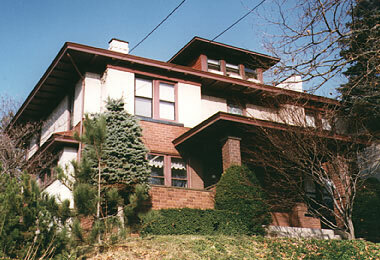 Washington in 1923, Brookline, Dormont and northern Mt. 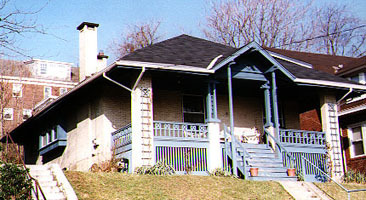 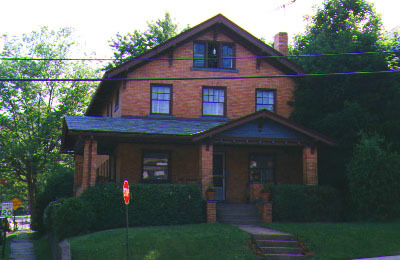 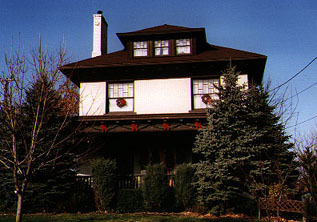 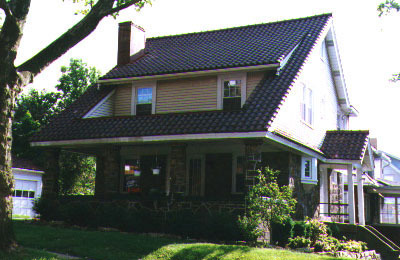 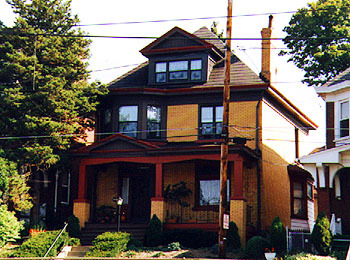 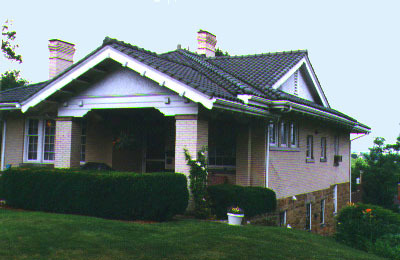 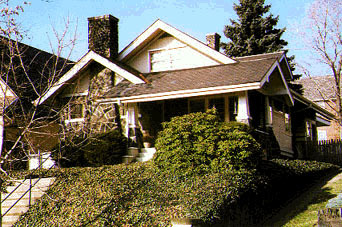 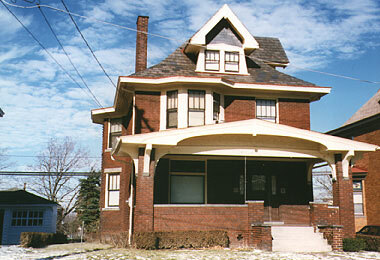 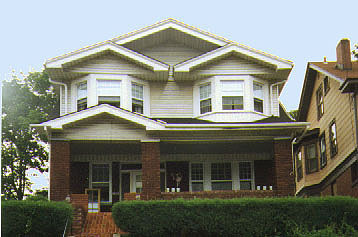 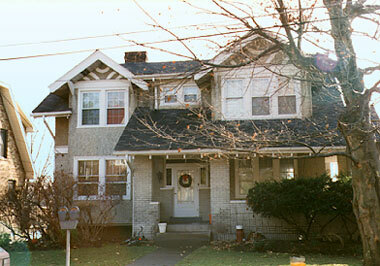 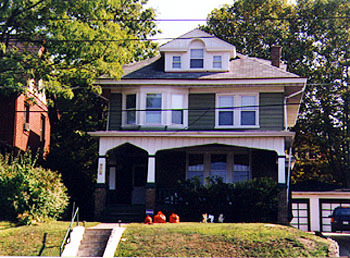 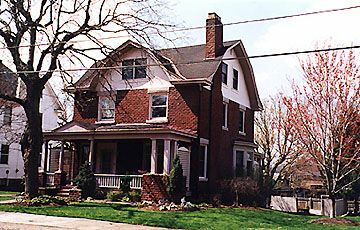 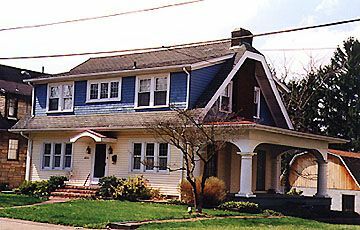 Lebanon were already thriving, sought-after neighborhoods with many fine examples of Craftsman homes. 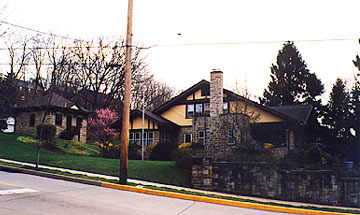 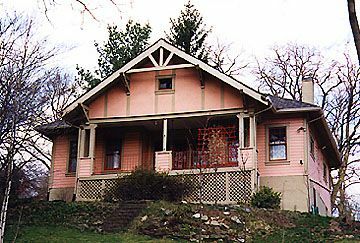 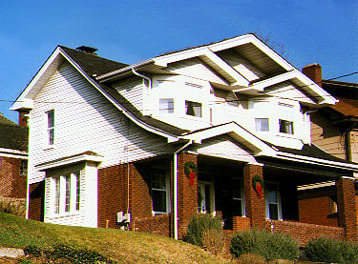 Rosslyn Farms, PA: A small community situated on a steep forested hilllside above a meandering stream, many of the 189 homes in this enclave feature outstanding Craftsman details from 1895-1910. 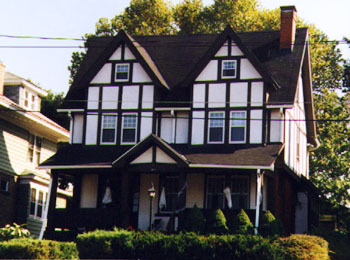 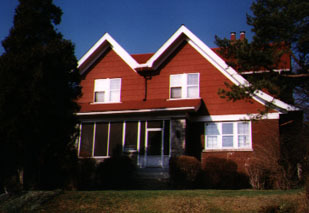 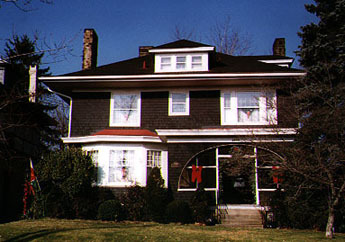 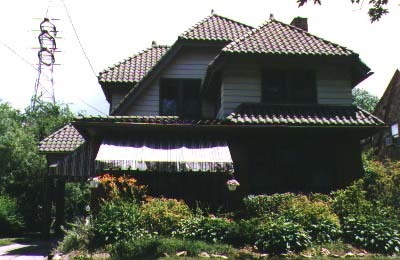 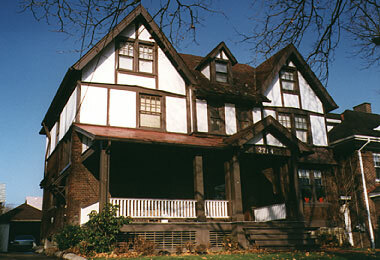 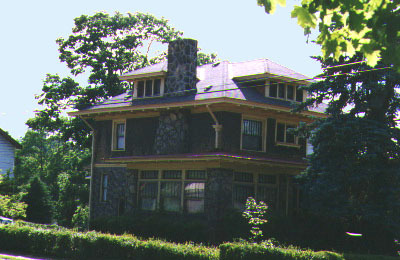 Linden Hall, Dawson, PA: Five photos of a beautiful 1913 Tudor Craftsman mansion built for the wife of a steel baron. 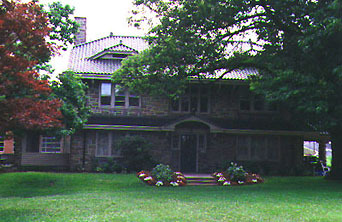 Featured on A&E channel's America's Castles program. 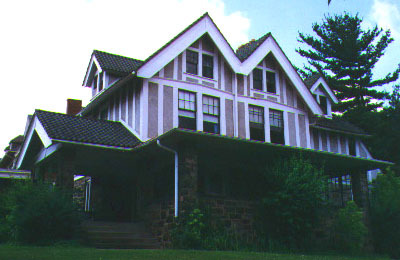 Photo: Gustav Stickley's Craftsman Farms, 1908, Parsippany, NJ. 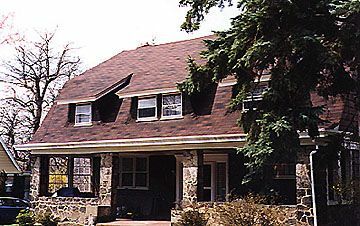 Source: njskyland.com.